I just might be the coolest writer you know. Then again, I might not be. Check out some of my work below to decide for yourself. Duo Consulting, a Chicago-based Drupal development firm, requested my help in writing a business book. The result was Capturing Community, a how-to guide for entrepreneurs and marketers looking to get into the community building space. It was a tough project, but we were able to finish the entire book (from concept to final draft) in under six months. I blog for Duo. I’ve also write white papers/ebooks like this one and this one. This one was even picked up by the National Law Review. The people at Duo are honest, intelligent, personable and a whole lot of fun. His well written, fact-filled and informative content exceeded our high expectations. Mark completes his work quickly, timely and accurately. On top of his writing skill, Mark is also adept at discovering and cultivating distribution channels for our content. It’s great to work with a creative and competent writer and nice guy. 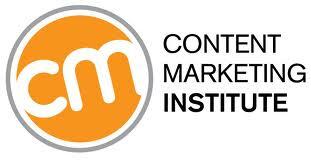 I’m a regular contributor to the Content Marketing Institute, a publication created by leading marketer Joe Pulizzi and one of the hottest websites for marketers. Check out some popular posts I’ve put together for CMI below. Check out everything I’ve written for CMI here. Shopping cart software provider 3dcart asked me to help them out with a holiday ebook. The 12 Days of Online Shopping became a beautiful marketing resource that benefited from the company’s fantastic in-house design team. I also handle press releases and case studies for 3dcart. This media kit was my work. Much of the content at 3dcart’s Ecommerce University is mine. In general, I handle a variety of projects, including plenty of web copy. I’m glad to be onboard at 3dcart. They have a great product, a positive culture and a successful company. For the first time in its long existence, Cross Check Communications wanted to build a website. Most of the company’s sales came word of mouth, but they were ready to expand digitally. I wrote just about all of the copy you’ll find here. [Mark] has the ability to write effectively in unfamiliar industries and write feature articles optimized for SEO. He is professional and has always had an intuitive understanding of our clients’ needs. Mark is smart and will learn to do any number of jobs proficiently. I highly recommend him. Mark is a great writer who is able to translate rough ideas and concepts into content worth publishing. He is a creative thinker – who not only can execute on plan but brings creative insights to help achieve the business goals. He’s also fast – often times my review seems to take longer then development of his work product. One part word-smith, one part innovator; Mark Sherbin’s contribution to our team at Celect was absolutely essential towards achieving our corporate goals. His contribution to our success was such that for the first time ever, we were able to communicate across all of our stakeholders in a succinct manner that best represented our organizational values and long-term goals…I would absolutely recommend Mark in both a freelance and especially a corporate team setting. To get a complete idea of my experience, check out my LinkedIn page. You’ll find all sorts of goodies there.